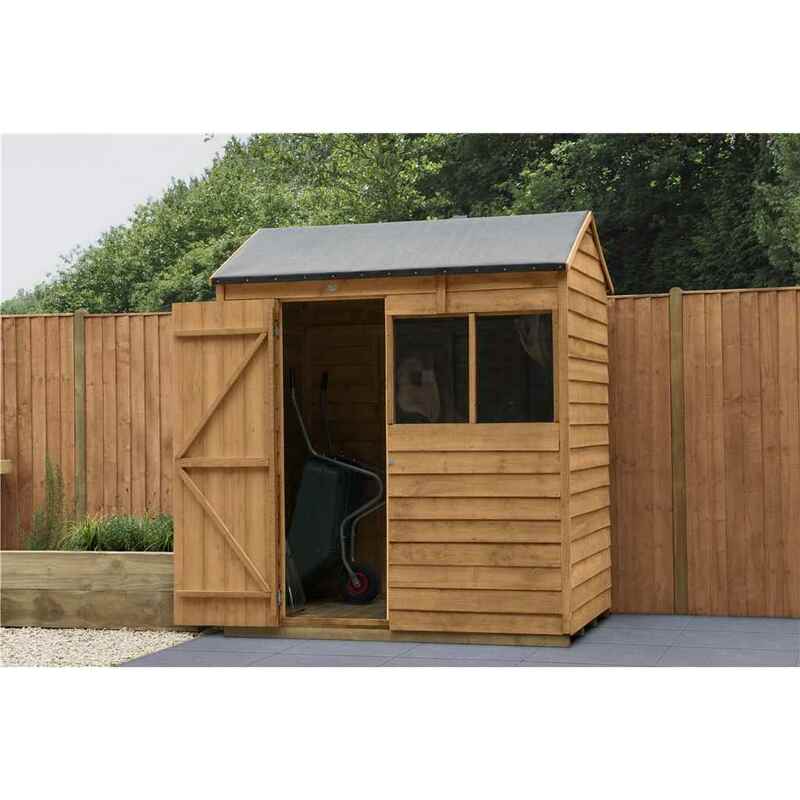 The Overlap Dip Treated 6x4 Reverse Apex Shed is an excellent storage solution for keeping clutter, such as gardening equipment or kids outdoor games, neatly tidied away. 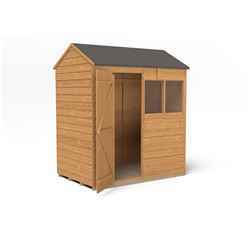 The reverse apex design makes it ideal for positioning against a wall and allows the interior space to be used to its greatest storage potential. 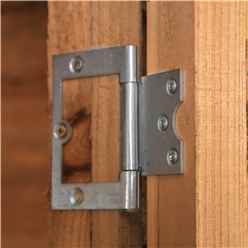 This building is secured with a door that is braced with strong double “Z” framing, hung with secure hidden hinges and is fitted with a secure hasp and staple latch that can be padlocked (padlock not included). 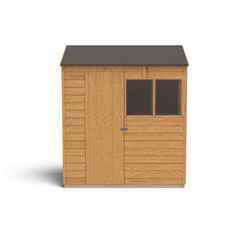 The roof and floor of this shed are made from hard wearing sheet material and the roof is completed with black sand felt. 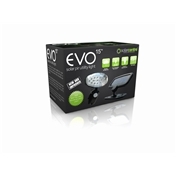 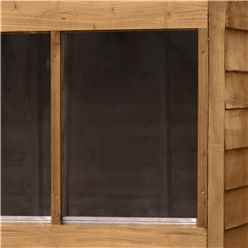 The fixed window is glazed with unbreakable polycarbonate that won’t go yellow or brittle over time and is fixed with security screws that cannot be unscrewed. The straight cut boards use an overlap construction, which allows flexibility and natural movement of the timber during the changing seasons and the Dip Treatment that has been applied to the 6x4 shed gives them a 10 year guarantee against rot damage, annual retreatment is required. 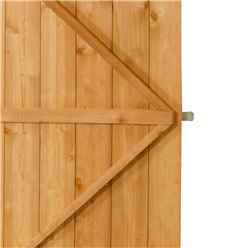 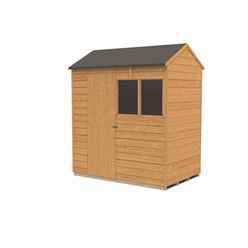 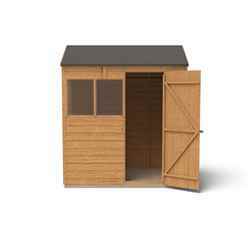 These great value garden sheds are manufactured in the UK using FSC certified timber from sustainable sources.